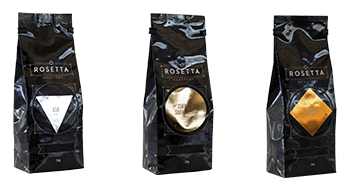 AT ROSETTA ROASTERY WE'RE PASSIONATE ABOUT COFFEES THAT ARE AS UNIQUE AND CHARACTER-FILLED AS THE PEOPLE WHO DRINK THEM. WE SOURCE SPECIALTY GRADE, SINGLE ORIGIN COFFEES FROM SOUTH & CENTRAL AMERICA, AFRICA AND ASIA, MICRO-ROASTING EACH ONE TO BEST PRESENT ITS UNIQUE PERSONALITY. GREAT COFFEE IS BEST ENJOYED FRESH AND AT LEISURE, WHICH IS WHY WE DELIVER TWICE WEEKLY AROUND CAPE TOWN FOR FREE, AND COURIER NATIONWIDE. Save up to 15% on your coffee order. We did something pretty flipping rare…and then this happened. What is a coffee factory? And why should you care?